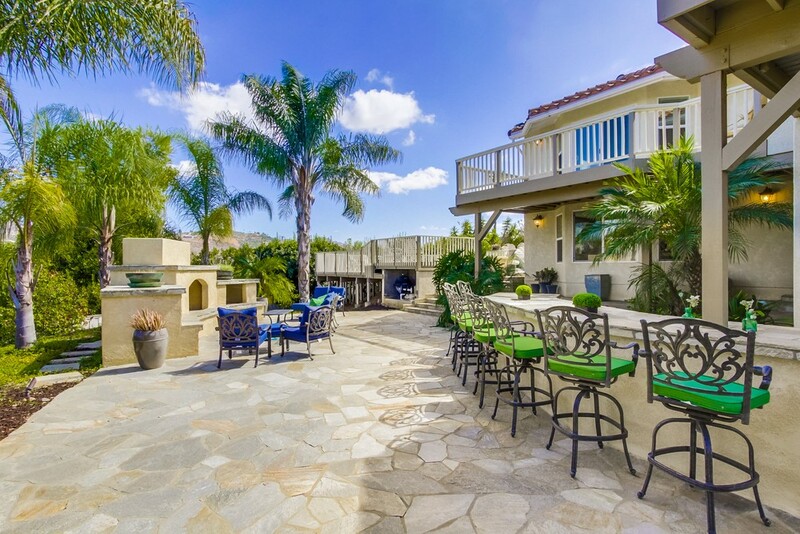 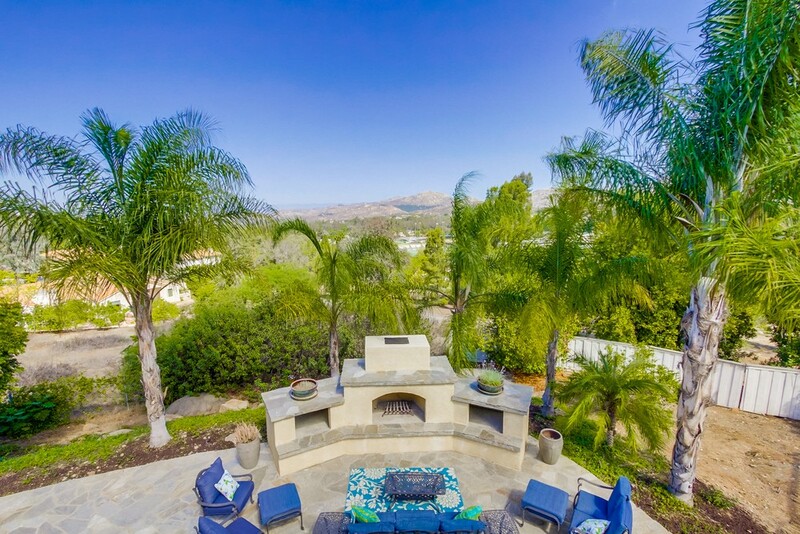 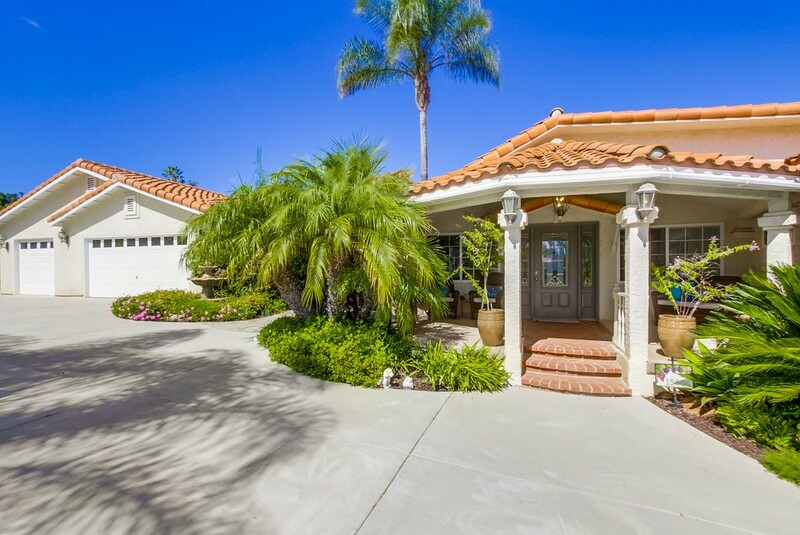 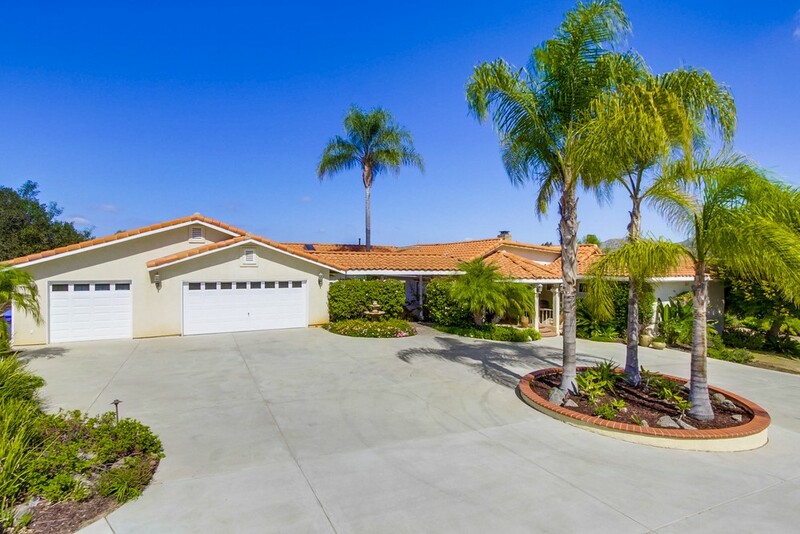 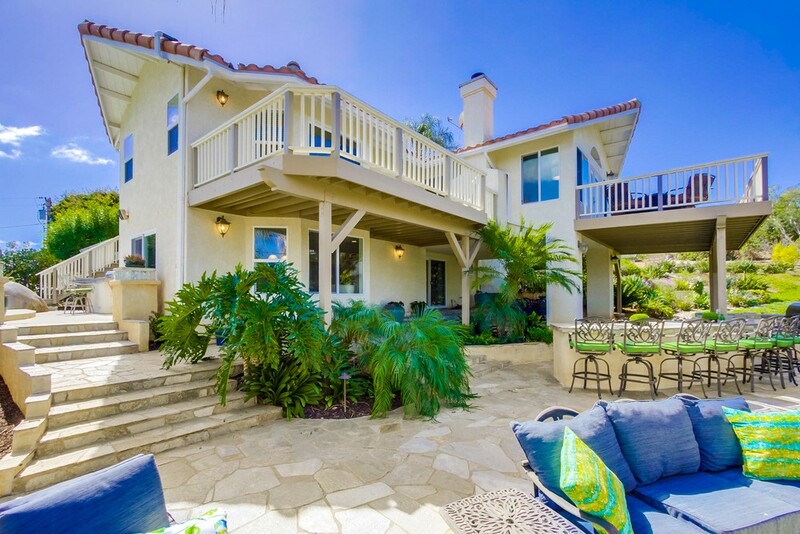 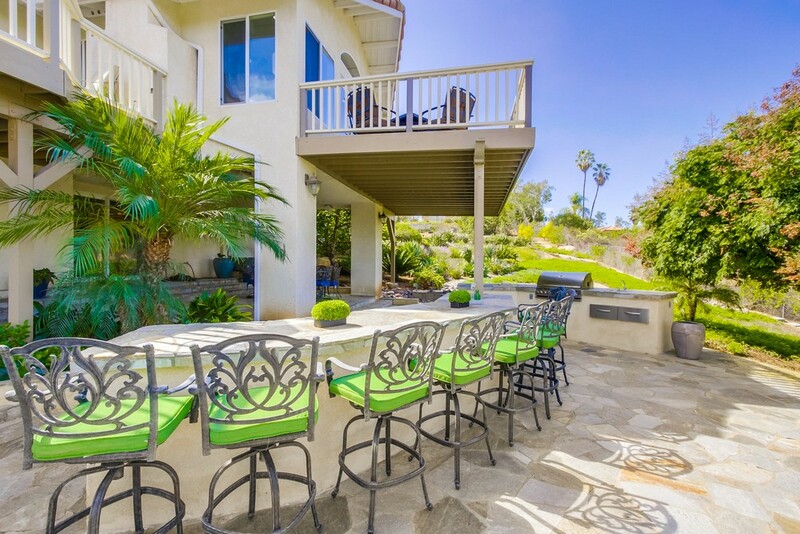 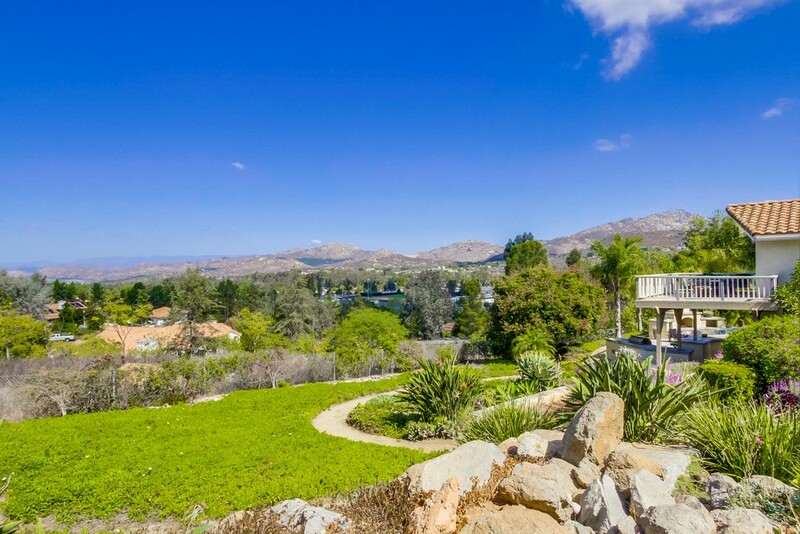 Gated custom residence in North Poway. 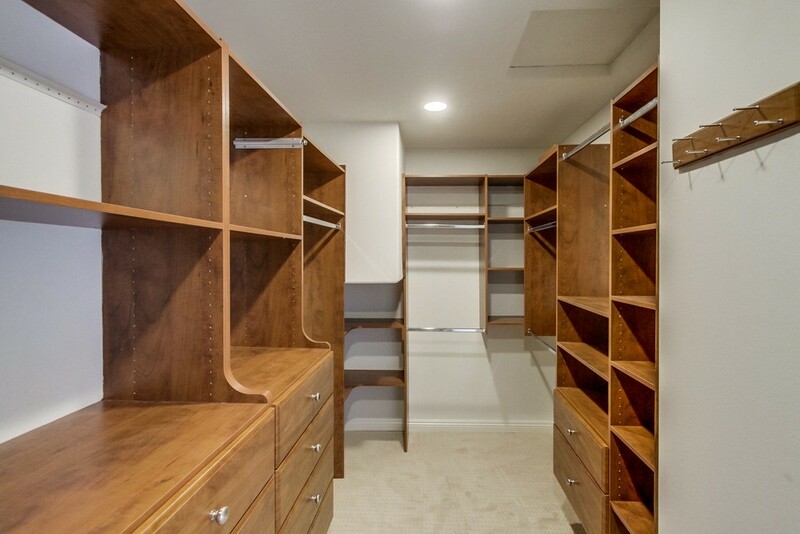 6BR/5.5BA, approx. 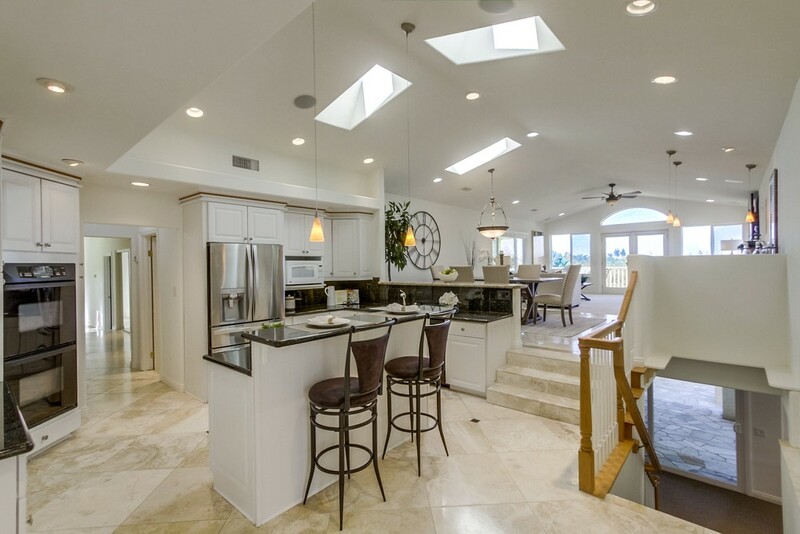 5,235 sq. 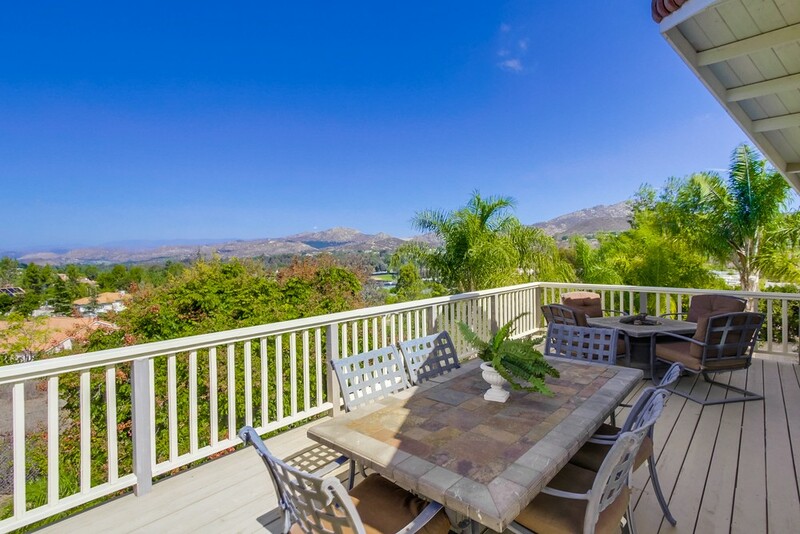 ft. Sited on 1.6 acres with fabulous mountain and valley views. 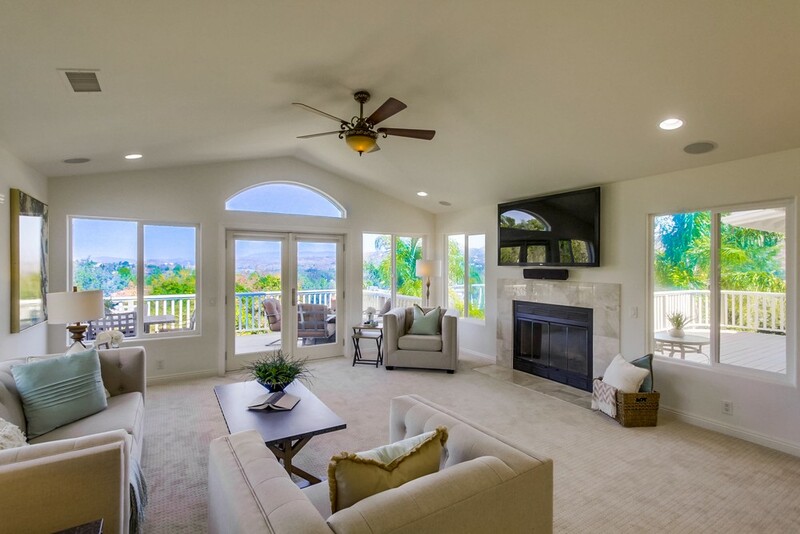 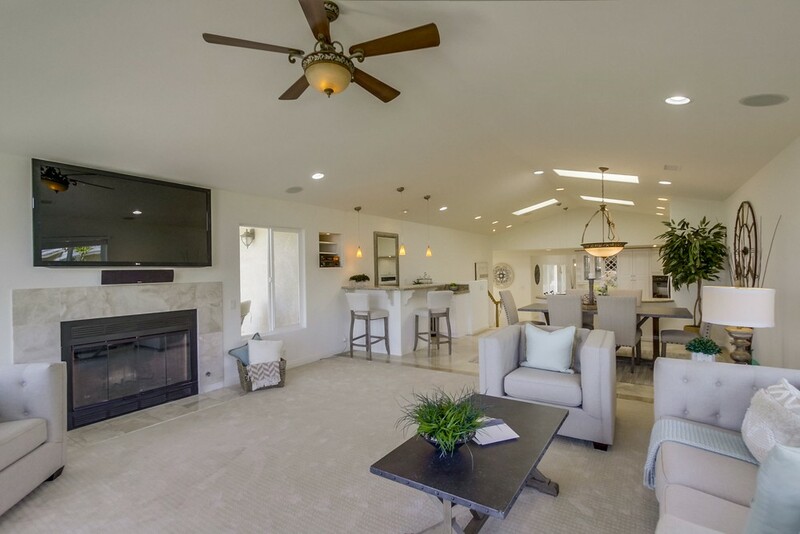 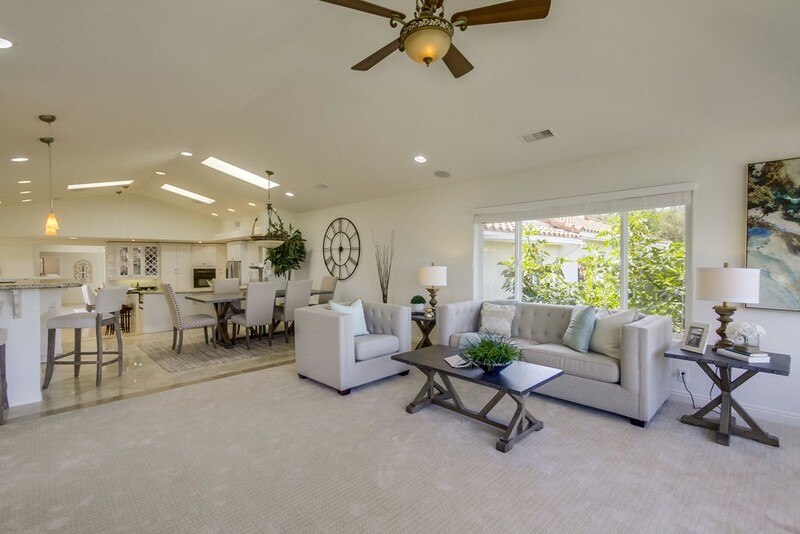 An open, airy floorplan with volume ceilings and expansive windows. 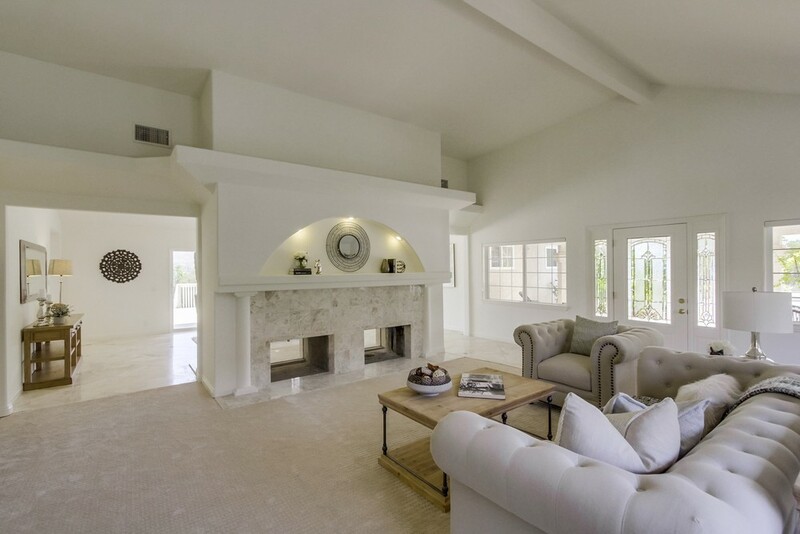 Living room with a custom fireplace and lighted niche above the mantle. 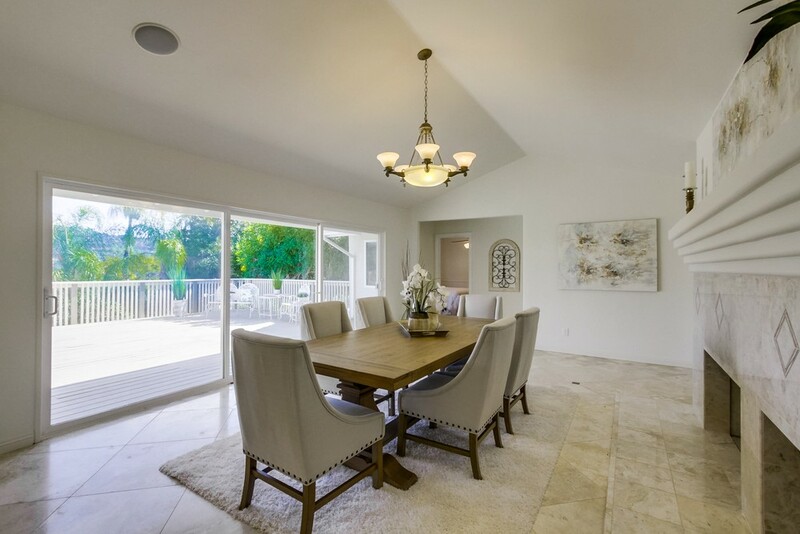 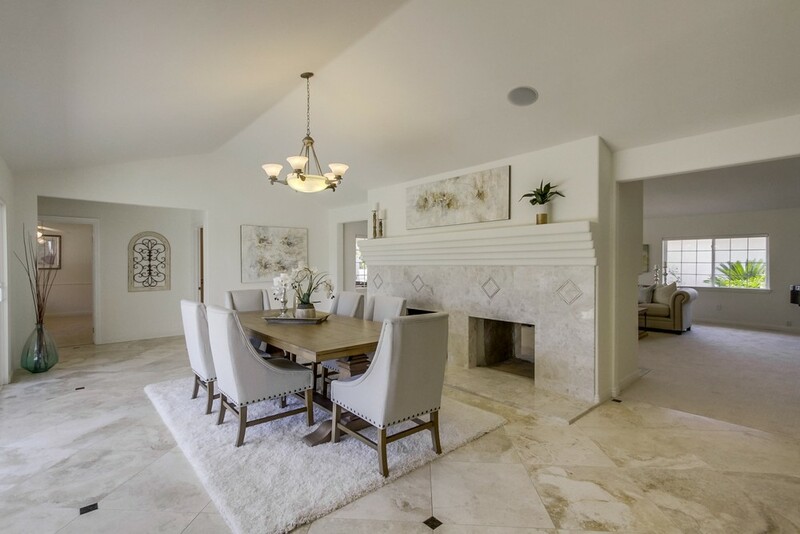 Formal dining room with custom fireplace and slider doors to viewing deck. 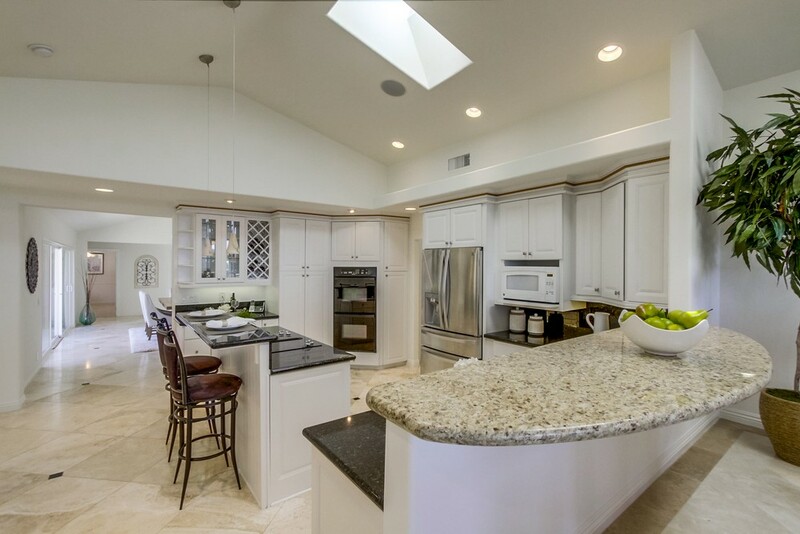 The chef’s kitchen features classic white cabinetry, skylights, pendant lighting over bar with beverage chiller, breakfast area, granite counters, double wall ovens, pantry and eat at counter. 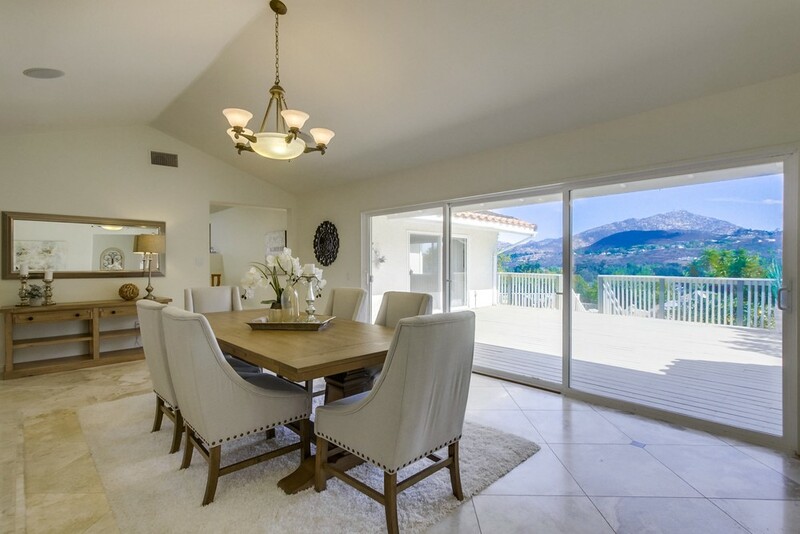 Spacious adjacent family with fireplace and French slider doors to deck with panoramic mountain views. 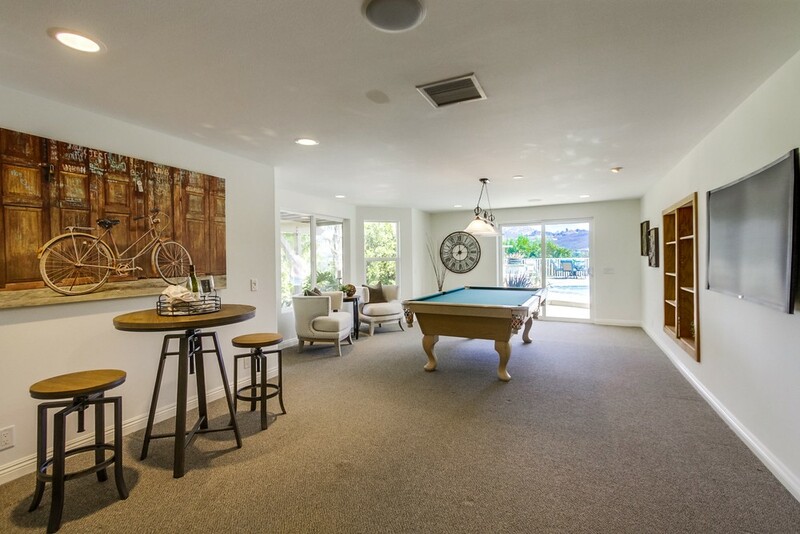 There is also a large game room with custom built-ins. 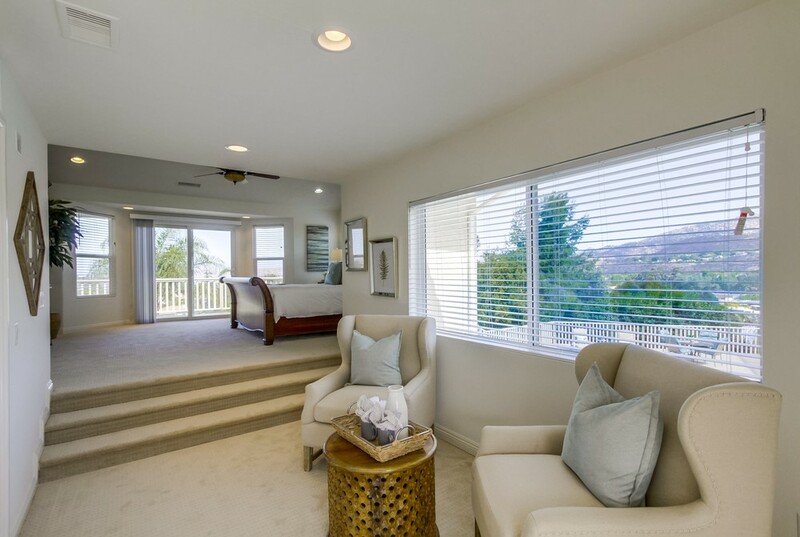 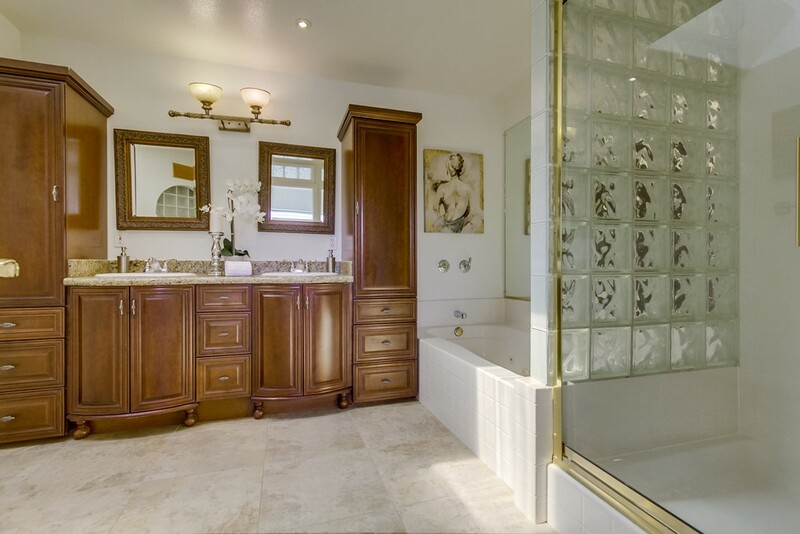 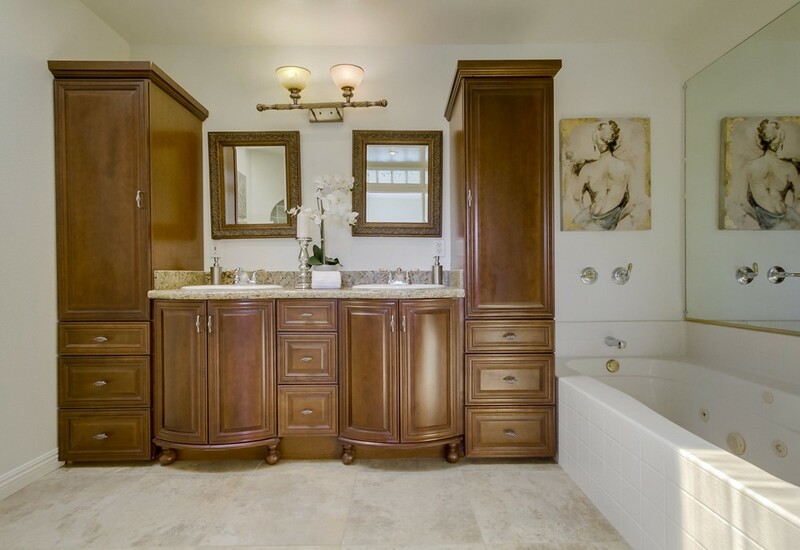 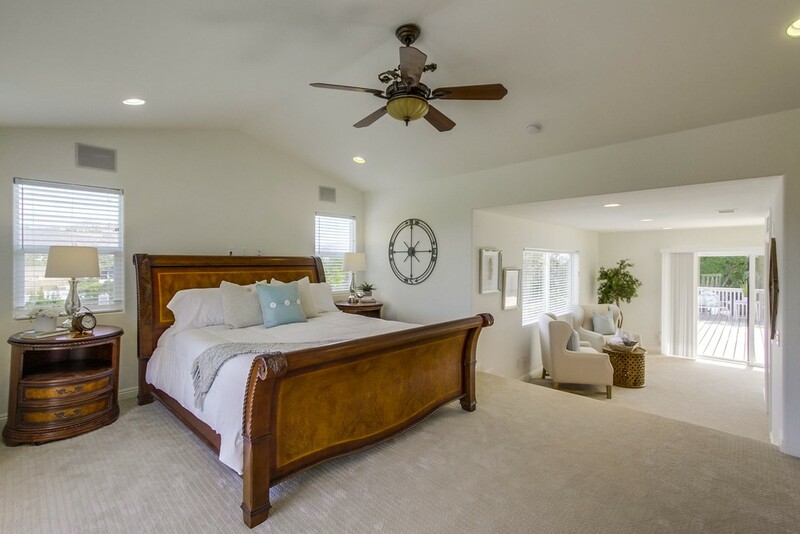 Luxurious master suite with French slider doors to deck, sitting area and a relaxing spa like master bathroom boasting custom dual cabinets, jetted tub, separate shower and a walk-in closet with custom built-ins. 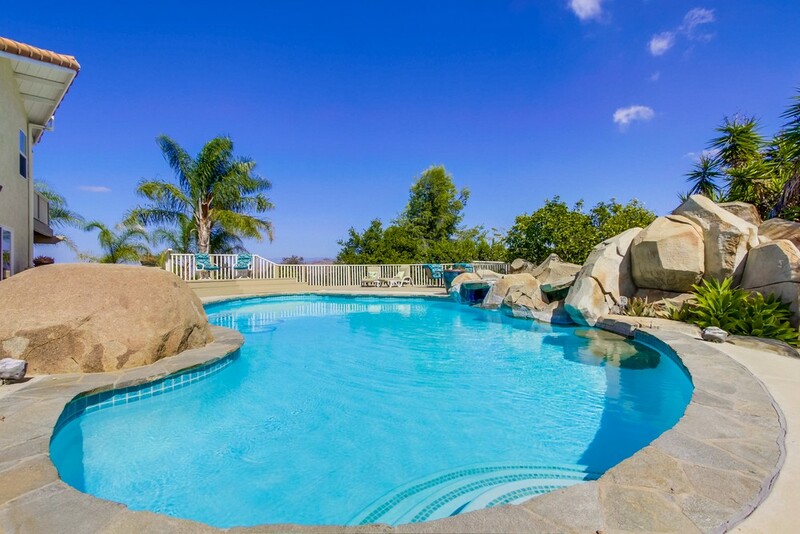 An entertainer’s backyard showcasing pool with rock slide and waterfall. 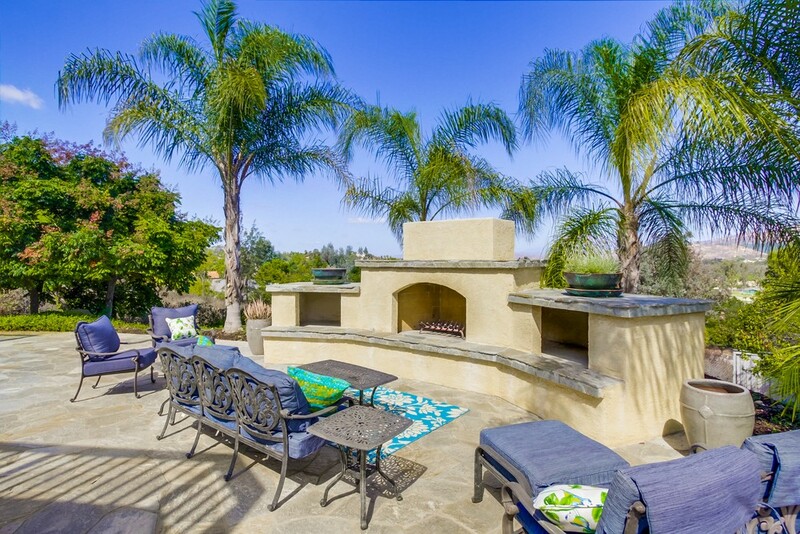 Built-in BBQ entertainment area with gas grill, sink and large serving counter. 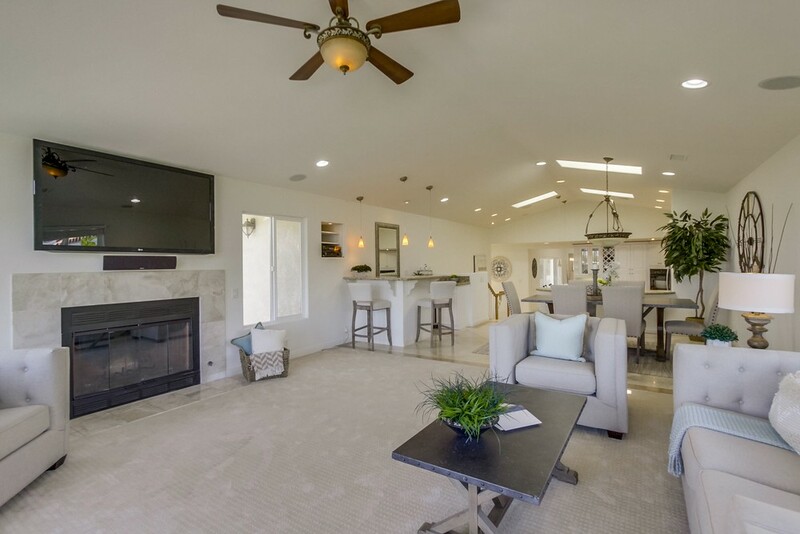 Large fireplace to enjoy on those chilly evenings. 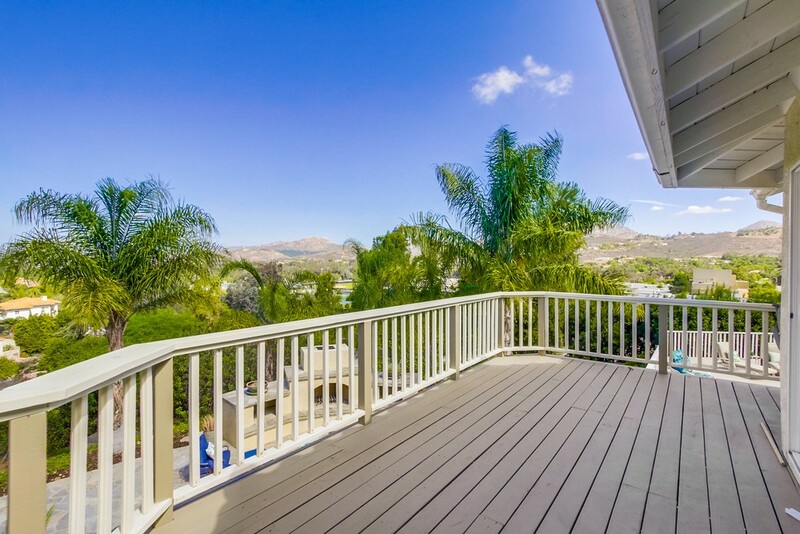 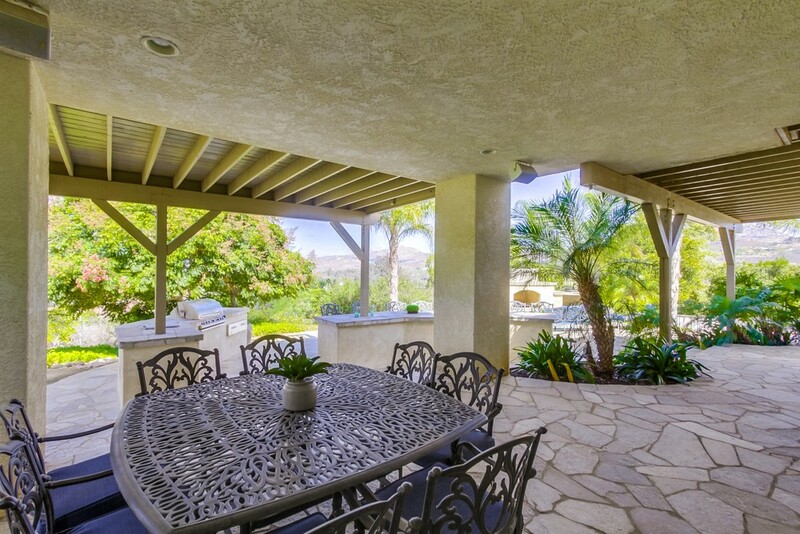 Covered patio area and multiple level decks and patios for relaxing and taking in the views. 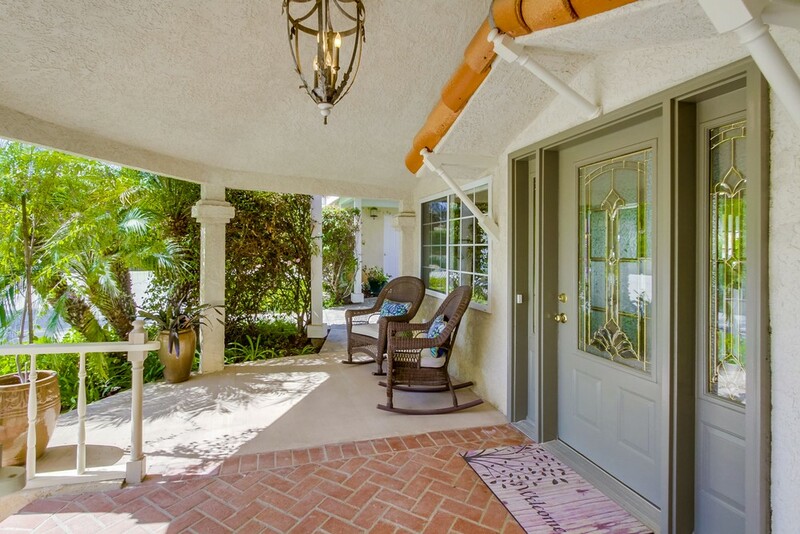 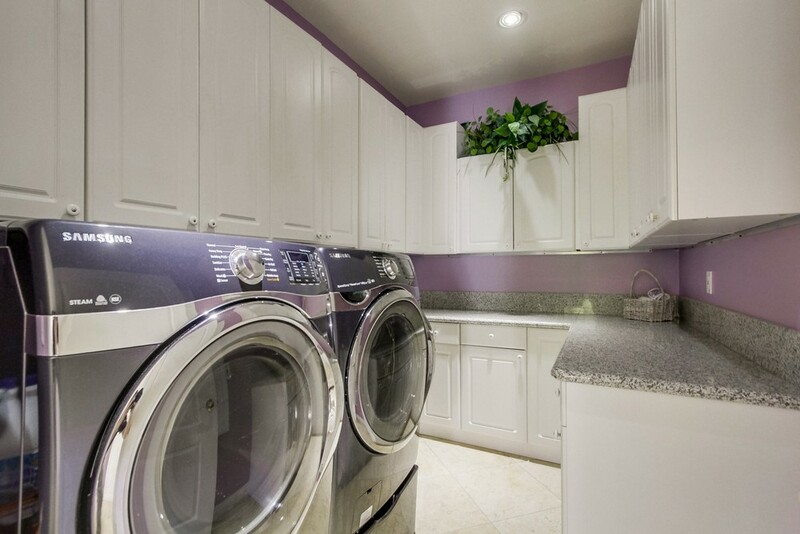 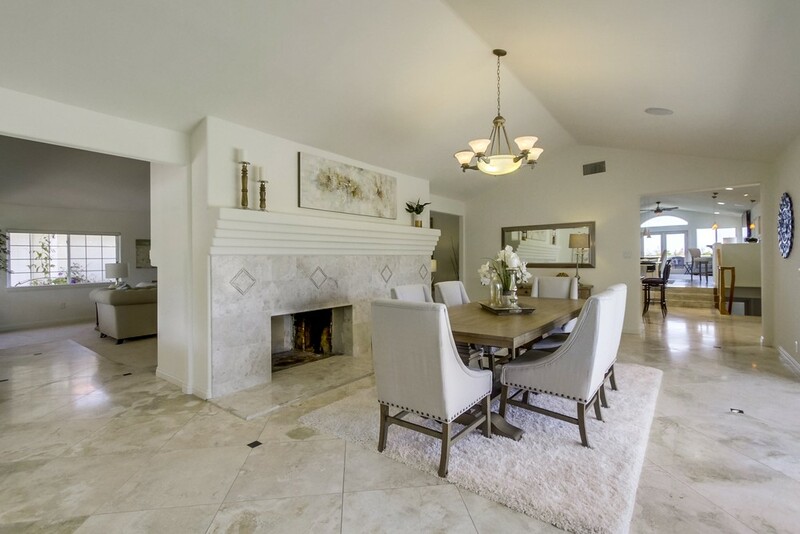 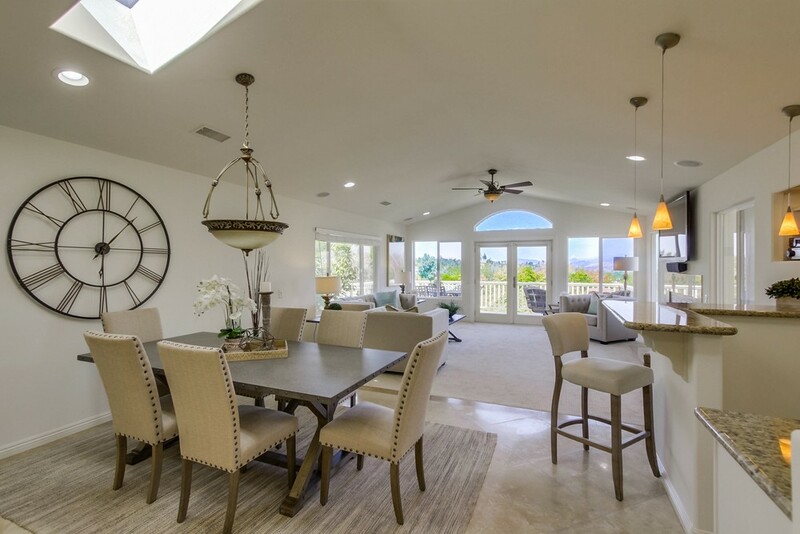 Other amenities include solar for pool, new carpeting & paint in select rooms, updated bathrooms, ceiling fans, flagstone patios, natural boulders, lush mature landscaping, 3 car garage.